If you’re a Christian, maybe that seems like an obvious question with an obvious answer? If you’re not, perhaps it seems a curious and untried concept? Yet as Kent Hughes says in the book I’m currently reading, this is ‘the quintessential question for everyone who wants to please God.’ Do you love him? I am finding that sometimes I get so busy with everything that I’m doing, even the things I’m doing to please God, that I forget the main thing: Love. Without this, everything I do is emptied of meaning. After all, God doesn’t need me to serve him, loveless duty is not what he wants from the people that he has made, he wants loving relationship. However, perhaps loving God is something that seems easy to talk about yet difficult to do. (And if you’re feeling discouraged by failure in this area please keep reading!) Where do we start? Love for God needs cultivation; it won’t always be a natural response for us because we are sinful. True, deep, intimate love develops when we spend regular and dedicated time with someone, so we need to be intentional about growing in our love for God, by spending quality time with him alone in prayer and reading the Bible. Don’t Give Up, He Won’t! It’s easy to feel discouraged or defensive when we consider our love for God – it always looks so weak and insufficient compared to his love for us! He deserves perfect, all-consuming love and devotion, and we give him diluted love and distracted praise. Just dwelling on the depth of his love for us should begin to stir our sluggish hearts in response. Why does God care about us? How do we know that he really does? Does he see us as individuals, or just feels a general benevolence towards the human race? Well fortunately God answers these questions and more –in the things that he says, but also in his actions and in the record that we have of them in the Bible. Here is a shortened version of a passage I read the other day in Genesis – the first book in the Bible. Abram agreed to what Sarai said… 4 He slept with Hagar, and she conceived. We often bypass this small part of the story as we focus on Abraham, and God’s miraculous promise to build the Jewish nation from this one aged man and his barren wife (themselves just ordinary people that God makes extraordinary) Yet I was touched by this passage concerning Hagar, impregnated by her master to provide a son for his barren wife. He is the God who hears and acts – the name of Hagar’s son will always be a reminder to her that God heard her misery and acted on her behalf! He cares about the weak and the marginalized, and is compassionate to the undeserving. Hagar becomes the mother of what grows to be a powerful nation, although she felt abandoned and mistreated, God was at work! Maybe you feel like no one sees you? Perhaps they only see the smiling protective front that you put up. Or you think that if people knew the real you they would reject you. Maybe you have been rejected or abused and you feel hurt and alone. The wonderful thing is that the same God who speaks to Hagar, is willing to come alongside you and I too, whatever our situation. He is the God who hears. He is the God who speaks to us, acting on our behalf and for his glory. I’m certainly not likening myself to a superhero, (missed opportunity I know!) but according to the verses below Christians are similarly dependent – on a person – Jesus Christ! It’s a pretty clear image isn’t it? If you’re a follower of Jesus did you ever realise that you were this dependent? I know that personally whenever things are going well, I quickly begin to rely on my own abilities as being enough for day to day life. Perhaps I’m more reliant on God for his wisdom and help when it comes to the big things, but I know I often don’t act anything like a branch attached to the vine that is Jesus! I like to think that I’m my own little plant, industriously growing fruit that I will later (humbly) present to my maker! But he tells us himself that this is not going to be enough. If we want to bear good fruit – loving obedience, useful service, spiritual growth etc. We need to remain ‘in him’ – attached, dependent, reliant! But this dependence is not presented as a burden. Although this passage is a strong reminder to us not to stray from the vine as we seek to grow and serve as Christians, it contains some great promises too, that should make us wonder why we would ever consider detaching ourselves from Jesus in the first place! 9 ‘As the Father has loved me, so have I loved you. Now remain in my love…11 I have told you this so that my joy may be in you and that your joy may be complete. Isn’t that staggering? If you are a Christian then Jesus loves you and I as much as he himself is loved, in all his glorious perfection, by God the Father! He simply invites us to remain in that love, to enjoy it, to depend on its certainty in everything that we do, and to have joy in this undeserved, but freely offered relationship with God himself. When I reflect on this, it doesn’t seem like a chore at all but a very appealing invitation! And a kind of dependence that brings peace and joy, not limitation or drudgery. It’s stupid for us to try to continue on our own, when such deep and inexhaustible resources are offered to us in Christ Jesus. He is not asking us to jump through hoops to get his help – only to remain in him, to be close to him, to ask help, and to feed on his strength and wisdom and righteousness! If you have time why not read the whole passage in the Gospel of John, chapter 15 – There’s lots more that I haven’t mentioned! We’ve been working through the book of Hebrews at my church on Sunday evenings, and last week our Senior Pastor preached a great sermon on Hebrews 9. The passage explains how Jesus fulfils and supersedes the Old Testament laws as the ultimate priest, by offering his own blood as a sacrifice for the forgiveness of our sins! Hebrews 9:22 simply states: without the shedding of blood there is no forgiveness. And a few verses on into chapter 10 we are told that: It is impossible for the blood of bulls and goats to take away sins. Gloriously, the passage continues on to say in verse 10 that “we have been sanctified through the offering of the body of Jesus Christ once for all”! Now I say all of this by way of explanation for the thoughts that sparked off in my mind as I read Hebrews 9-10. 1. 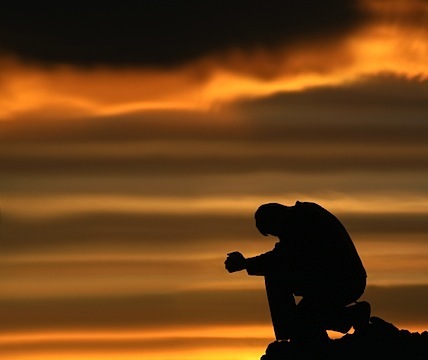 Penance – I punish myself for my sin and failure, the more wretched I feel about my failings, the better! This kind of thinking denies what Jesus has done, or doubts the total effectiveness of his forgiveness. Jesus has totally satisfied God’s just anger at sin. We please God with appropriate sadness and repentance over our sin, but self punishment will get us nowhere. 2. Bargaining – I create my own false system of rules in order to please God. So if I sin against God by thinking lustfully, or lying to a friend, I ‘make it up to him’ by reading my Bible for longer, or doing something nice for someone at church. It sounds stupid, because it is! Yet we often do this almost without noticing, as though we can trade our good deeds in to replace the bad! 4. Legalistic Righteousness – Because actually, I’d feel a lot better if I could work towards earning forgiveness. In my heart of hearts, I don’t want to rely on God’s free gift of grace, I want to be the master of my own destiny, and sometimes I believe I can meet God’s standards if I just try really hard. (I know – you’re thinking “Nim what does Hebrews 9:22 say? !” Without the shedding of blood there is no forgiveness. I’m sure there are others too! We are very talented at coming up with ways to distort, obscure, or deny the good news of God’s grace to us through Jesus Christ. Hebrews 9 and 10 show us clearly that all of these reactions are unnecessary and foolish. …we have been made holy through the sacrifice of the body of Jesus Christ once for all. 11 Day after day every priest stands and performs his religious duties; again and again he offers the same sacrifices, which can never take away sins. 12 But when this priest had offered for all time one sacrifice for sins, he sat down at the right hand of God… 14 For by one sacrifice he has made perfect forever those who are being made holy. Did you catch that? “Made holy through the sacrifice of the body of Jesus Christ” “once for all” “made perfect forever”. It’s so complete that Jesus is now sat down. He has finished offering his precious and perfect self on our behalf, the sacrifice has been accepted! He is now seated next to the Father. So you and I can stop all of our pathetic efforts to fashion ourselves a suitable sacrifice! There is no longer any need for any follower of Jesus Christ to try to pay for sin or earn their forgiveness, it has been done. We’re free to rejoice at abundant grace, to bask in the too good to be true feeling, and to praise and glorify God for his astounding rescue plan! Friends, please don’t miss out on the joy of knowing and enjoying full forgiveness now! Don’t mess about trying uselessly to do what has already been done for you. Some days the gospel can feel very distant. Our failures loom large, and the forgiveness and rescue that we are given in Christ seem somehow obscured in the daily grind. However, the Bible is a treasure trove of passages that describe the incredible rescue Jesus has worked for us, for days when we need reminding! This week I’ve been reading and re-reading a short passage in Colossians 2. The Apostle Paul is encouraging the Colossian church, reminding them of who Jesus is, and all that they receive in following him, so that they will not grow discouraged or move away from what they believe. “When you were dead” God saved us and gave us new life when we were spiritually dead – unable to save ourselves, or earn his favour in any way – The God who was willing to save us at our worst will not leave us now! “He forgave us all our sins” All our sins – forgiven, once and for all! 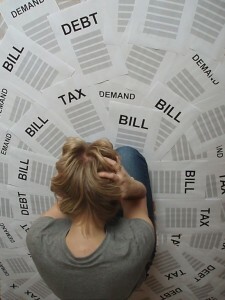 “having cancelled the charge of our legal indebtedness..” Our huge debt of sin, the one that we daily add to, is cancelled having been paid in full at the cross of Christ. It no longer has the power to condemn us! Jesus has borne our just condemnation and punishment himself. What powerful, life-saving truths! And yet I can find them hard to really accept personally, when I look at the multitude of ways I have failed God even today. Maybe you absorbed it all on first reading, but in order to help myself to really trust and rejoice in these words I’ve made a few changes, personalising the pronouns! 13 When I was dead in my sins and in the uncircumcision of my flesh, God made me alive with Christ. He forgave me all my sins, 14 having cancelled the charge of my legal indebtedness, which stood against me and condemned me; he has taken it away, nailing it to the cross. 15 And having disarmed the powers and authorities, he made a public spectacle of them, triumphing over them by the cross. When it sinks in that these things are true about me, today, forever, because of Christ, I can’t help but be humbled, encouraged and truly joyful- I’m grinning as I write this! What a wonderful saviour Jesus Christ is! I’ve been thinking in recent weeks about the character of God, and in particular, about his mercy. But instead we read: V.27-29. When Ahab heard these words, he tore his clothes, put on sackcloth and fasted. He lay in sackcloth and went around meekly. I decided to look more deeply at God’s mercy and how we witness it in the Bible. I needed my own miserly mercy redefined by God’s definition! 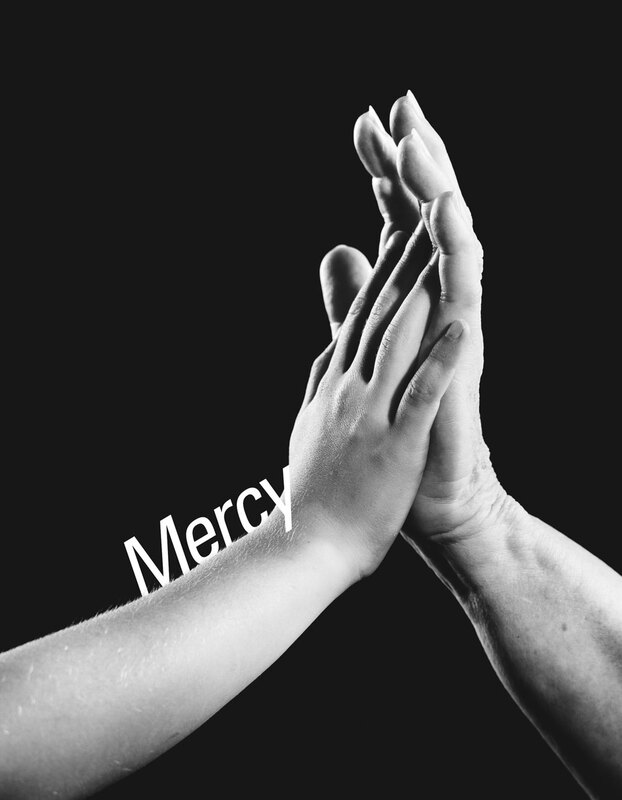 Mercy is one of the key traits that God uses to describe his character to us. What does God choose to proclaim to sinful man about himself? His mercy and grace, that he is slow to become angry, that he is full of unchanging love and faithfulness. Wow! His declaration of mercy is made all the more powerful and freeing because we know how much we are in need of it. How unqualified we are to meet his just standards or earn his perfect favour. For us, everything depends on this mercy. Without it, we have no access to his love or faithfulness. Deuteronomy 4:31 says For the LORD your God is a merciful God. He will not leave you or destroy you or forget the covenant with your fathers that he swore to them. God is the faithful one in this relationship, it is his mercy which upholds the promises he has made to his people despite their constant betrayal and sin. Though they leave him, and forget him, and turn their faces away. His mercy provides a way back time after time! Of course this is a part of God’s character that we see just as powerfully demonstrated in Jesus Christ! In his willingness to be made in human likeness, to live and die for sinners like you and I.
It’s a staggering and vast mercy that led him to the cross, to suffer and die for all the Ahabs and Jezebels throughout history who committed their endless evils against him. Hebrews 2:17 tells us that Christ had to be made like his brothers in every respect, so that he might become a merciful and faithful high priest in the service of God, to make propitiation for the sins of the people. But God’s mercy to us does not end at the cross. What does God’s vast mercy mean for you and I? But it also means that we have no excuse for our miserly mercy to one another! God’s gracious and underserved mercy towards us should equip us to be abundantly merciful too, especially when someone doesn’t deserve it. After all, we don’t deserve the mercy that has been shown to us! Let us rejoice in the mercy that we receive, seeking with the help of God’s Spirit to show it to others in return. What does the Bible mean when it tells us to fear God? This is a question that I’ve been mulling over this week, inspired by a family debate over the weekend! What does the Bible mean when it tells us to fear God? Does it just mean awe and respect? Or something more? One of the ladies in the Bible study this week added an additional question to be answered – How does fearing God fit in with loving him as our Father? Well I think these are some formidable questions to wrestle with! So I’ve spent some time looking at Scripture, and some big old commentaries and dictionaries and here are some thoughts – let me know what you think! I warn you now that it’s a bumper post today – but a subject that’s worthy of our exploration! What kind of fear are we talking about here? Should we simply understand this to mean that we respect God – that we are in awe of him? Or is there more to it? This verse has come back to me over and over as I’ve thought about this subject. My heart wants to stop at simply ‘respecting’ God, because it doesn’t ask too much and it’s not scary! But when I look at Job I see a man who knows God well, who has suffered much without cursing his maker, but who is humbled in a moment as he comes face to face with God. He despises himself in comparison to the glory and perfection of God! Daniel and Ezekiel both fall on their faces when they are confronted with the glory of God. Add that to the reaction of many others in scripture who fear that they will die when they see the Lord – and I think we have a case for not downgrading ‘fear’ too much! What does fearing God look like in day to day Christian life? We are talking about a kind of fear that produces several things of worth in the life of a Christian – and you’ll notice them mentioned in scripture in relation to our fear of God. The reason Paul gives here for seeking holiness, is because of our reverence for God. That surprised me, I’m not sure I have really thought about my holiness being tied in with my fear of God. Here we see fear of the Lord leading to obedience, because obedience to such a God brings wisdom and understanding. Our God inspires us with such awe and wonder, why would we not want to follow his wise commands? We are told that Abraham did not withhold his only son Isaac from God because he feared him. If we truly fear God it will be shown by the way our lives match up to what he says in his word. Our fear and awe results in obedience to God’s commands. 3. Turning away from wrongdoing and hatred of evil: Proverbs 8:13 tells us that To fear the Lord is to hate evil. If we fear God we will hate what he hates, and we won’t seek to cultivate or love things that he despises. But how do we get away from the negative connotations of fear? One of the things I have become more convinced of as I’ve studied some of these passages, is that fearing God is not a burdensome task that we long to shake off. It’s actually a wonderful thing! God delights in those who fear him! Notice also how fear is linked here with hope in his love, it’s not a cold oppressive fear, inspired in downtrodden people ruled by a powerful dictator! Wow, not a harsh tyrant then, but a good God who fills his kingdom with justice, righteousness and salvation, wisdom and knowledge. And the key to this store of blessing and treasure? It’s the fear of the Lord! As God speaks to Israel (and now to us) we see that in his mercy he will inspire them to fear him. Why? Because it will keep them safe, it will prevent them from leaving their God – the One who will never stop doing them good! My prayer is that God would inspire a right fear in me that keeps me walking closely with him, he is the exalted king, ruling over a kingdom that brings blessing to its citizens, and I want to possess the key that opens up the riches of his blessing, the key that brings wisdom. Of course we fail so badly at this on all counts – we fear Man instead of God, we don’t submit to him, we love wrongdoing, and fail to fully obey his commands. These scriptures should be a warning to us. We can get comfortable using the language of father, saviour and friend, while forgetting that God is God – Holy, powerful, perfect, opposing sin. We must learn to hold these things in tension, and not downplay the fear of God too much. Jesus Christ fears God his Father perfectly on our behalf! So we live every day seeking to fear the Lord, for our good and his glory. But when we fail, Christ succeeds, delighting in fearing the Lord, in our place.